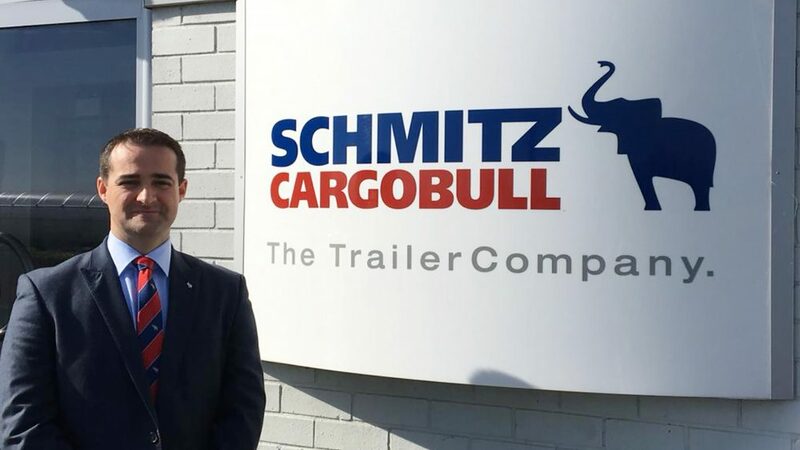 Schmitz Cargobull has appointed Paul Ó Ceallaigh as its new dedicated Sales Manager for Ireland, who brings nearly two decades of experience in the Irish transport industry to the business. Ó Ceallaigh will provide a dedicated point of contact for operators in Ireland looking to expand or replace their trailer fleets. He will also work on extending Schmitz Cargobull’s pan-European Service Partner network in Ireland, ensuring operators have easy access to repair and maintenance for their equipment by approved technicians. Ó Ceallaigh says: “Schmitz Cargobull offers state-of-the-art trailers, but the company is about so much more than that. The full service support on offer is unlike anything else in the industry, and genuinely helps cut lifetime running costs for operators. Ó Ceallaigh previously worked for IVECO as its heavy truck sales specialist in Ireland and has had roles with Volvo Truck & Bus, Arrabawn Co-op and the Irish Government’s Department for Transport. Schmitz Cargobull UK and Ireland is a subsidiary company of the German-owned Schmitz Cargobull Group. With an annual production of more than 61,000 trailers and around 6,400 employees, Schmitz Cargobull AG is Europe’s leading manufacturer of semi-trailers, truck bodies and trailers for temperature-controlled freight, general cargo and bulk goods. The company achieved sales of almost € 2.2 billion in the 2017/2018 business year. As a pioneer in the industry, the North German company developed a comprehensive brand strategy early on and consistently established quality standards spanning every level: from research and development, to production and specialist services such as consulting, trailer telematics, financing, spare parts and used vehicles. Schmitz Cargobull UK is a subsidiary company of the German-owned Schmitz Cargobull Group. 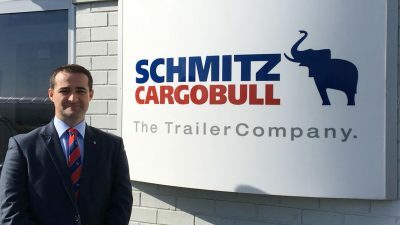 With an annual production of some 61,000 trailers and around 6,400 employees, Schmitz Cargobull AG is Europe’s leading manufacturer of semi-trailers, trailers and truck bodies for temperature-controlled freight, general cargo and bulk goods. The company achieved sales of more than € 2.2 billion in the 2017/2018 financial year. As a pioneer in the industry, the North German company developed a comprehensive brand strategy early on and consistently established quality standards spanning every level: from research and development, to production and specialist services such as consulting, trailer telematics, financing, spare parts and used vehicles.